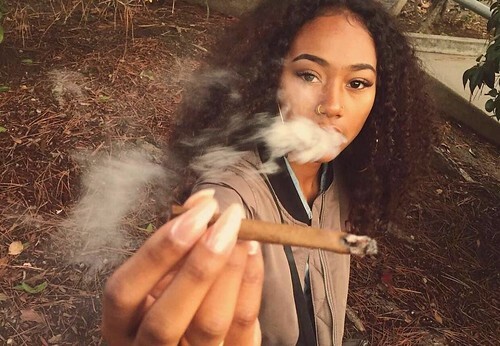 No one is judging you if you like to use marijuana for recreational or medical reasons. In fact, currently, 29 states have given people the freedom to enjoy their Mary Jane. While marijuana has been named as a viable remedy for glaucoma, cancer treatment side-effects, and even PMS, it's still not 100 percent risk-free. 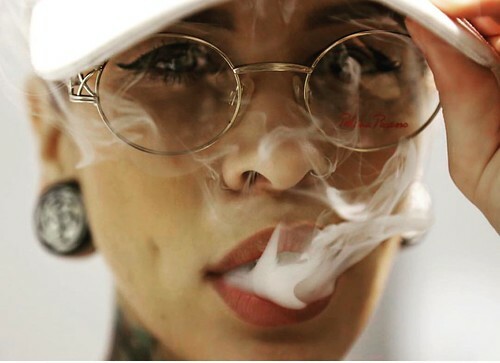 Studies have even shown that marijuana can potentially impact hair health. To understand the effects of marijuana, it is important to know its composition. Marijuana is comprised of the leaves of the cannabis sativa, or hemp, plant. These leaves are usually dried prior to being used for smoking purposes. Cannabis contains various strains of compounds, known as cannabinoids, according to the Journal of Therapeutic Advances in Psychopharmacology. The main and most active of these is the compound delta-9 tetrahydrocannabinol, or THC. The psychoactive D-9 THC produces the “high” and other symptoms a person can get including lethargy and hindered memory. According to Unique Hair Concepts, when it comes to how the drug can alter the condition of hair, a study by the University of Amsterdam found that marijuana could cause hair loss in adults between the ages of 18 and 65. The study also showed that the hair loss was most prevalent in young men. Unique Hair Concepts also mentions studies from the Federation of American Societies for Experimental Biology, which indicated that THC builds up in the hair shaft. This buildup disrupts and prevents hair growth by not allowing the hair shaft to lengthen and keeping proteins from reaching the scalp. Conflicting viewpoints also exist on whether or not THC can reduce the amount of testosterone (which promotes hair growth) in the body. A study by the Journal of Theoretical Biology asserted that male testosterone levels became “depressed” after smoking marijuana. Conversely, the Drug and Alcohol Dependence Journal did not find any detectable effects in men or women. Furthermore, research from Psychopharmacology has also shown that cannabis and THC can increase the presence of the stress hormone cortisol, which can contribute to hair loss. However, the news isn’t all bad. As previously mentioned, some studies have concluded that while the drug can exacerbate existing factors that lend themselves to hair loss, it may not be a direct cause. In fact, the Psychopharmacology study noted that while marijuana increased cortisol, the effect was “blunted” (no pun intended) in more frequent users. This might indicate that chronic (again, no pun intended) smokers or consumers could develop a tolerance that wards off severe effects. Scientific evidence suggests that marijuana could even help prevent hair loss, by stopping the development of DHT, which has been known to inhibit hair growth by binding to hair follicle receptors. Speculation about the benefits or dangers of marijuana use to the hair is rampant. While an obvious correlation has been identified, there currently isn’t sufficient evidence to suggest whether marijuana can help or hurt a person’s hair. The best thing for any person who wants to dabble in the green without permanently losing their locks is to be responsible. Users should also discontinue consumption at the first sign of adverse effects. It is almost certain that someday, science will have a definitive answer for what effects marijuana can have on the hair. Until then, future of your tresses is in your hands (or, between your fingertips).